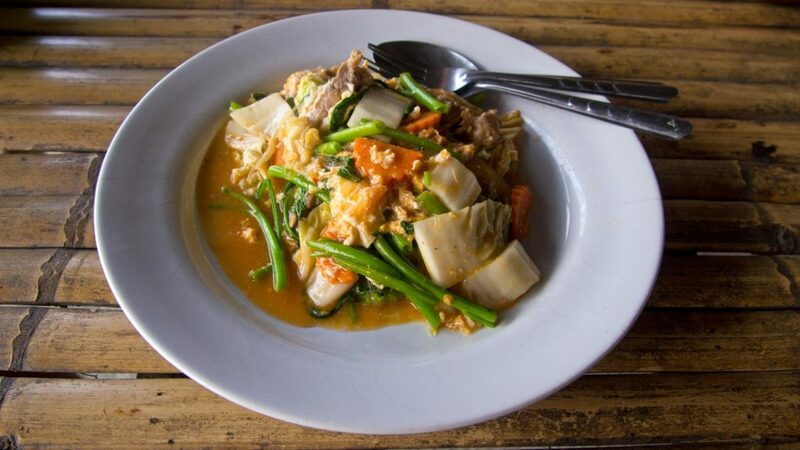 The Thai cuisine is well-known far beyond its national borders and is often considered to be one of the best cuisines in Asia as well as worldwide. 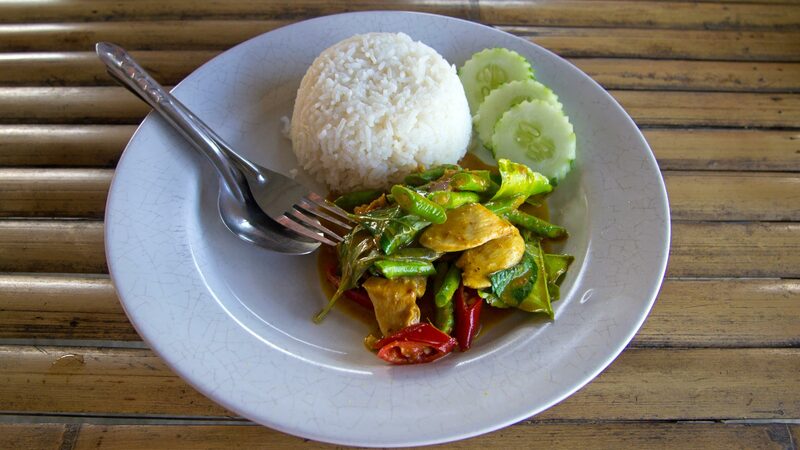 Delicious Thai food is often fresh, healthy and naturally spicy. However, for most visitors the dishes won’t be cooked too spicy because tourists are not used to it. The exotic Thai cuisine has made Thai food famous all over the world and first-time visitors of Thailand are easily overwhelmed with the diverse offer of dishes. You can smell food everywhere and there are tons of restaurants and street food stalls. Totally different from home. As there are so many various dishes from soups or dishes with noodles and rice, we would like to introduce 10 culinary highlights of the Thai cuisine to you. We know that those are by all means not everything the Thai food has to offer. 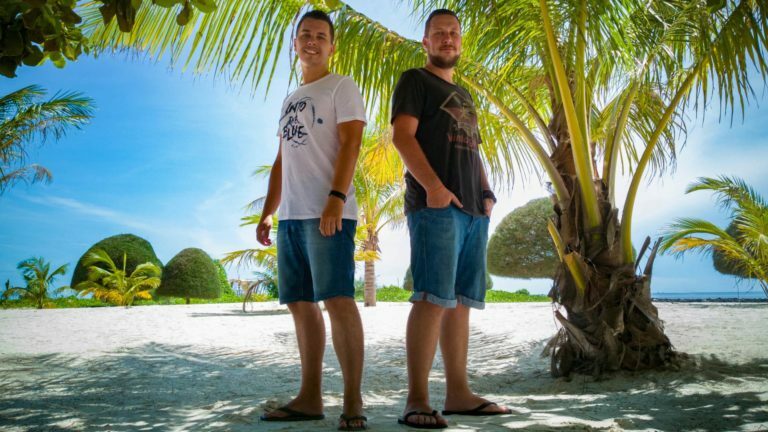 It’s just a beginning which we will expand with further articles about delicious Thai food. Pad Kra Pao is usually on the menu of every restaurant and food stall, except for those who only serve soups. You can find it on the menu mostly as fried minced pork with holy basil leaves or similar. In Thailand there are several types of basil and – how could it be otherwise – the one which is used for Pad Kra Pao is a spicy basil. However, you can also order this dish in a not spicy way (“mai pet”) and the meat can also be varied. Depending on your preference, you can choose between chicken, beef, pork or seafood like shrimps and squid. 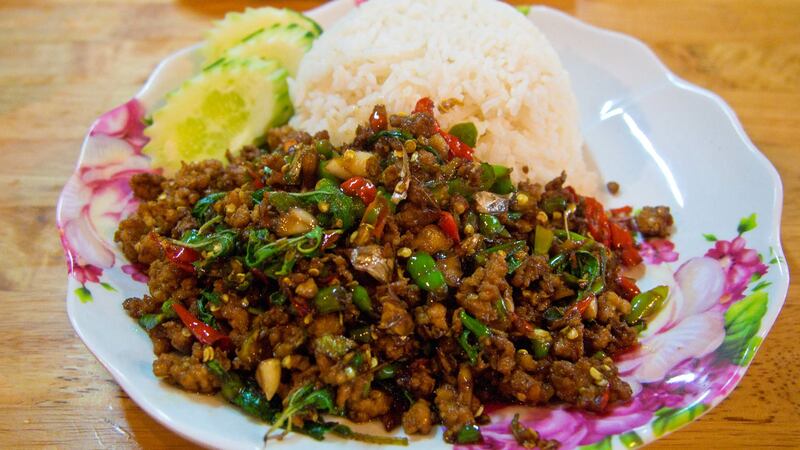 It’s very easy to prepare Pad Kra Pao. First you stir-fry chilies with garlic. Then you add some meat and long green beans. After that you refine the dish with fish sauce, sugar, oyster sauce, soy sauce and finally the spicy Thai basil. Of course Pad Kra Pao is served with rice. Very tasty and absolutely recommendable! 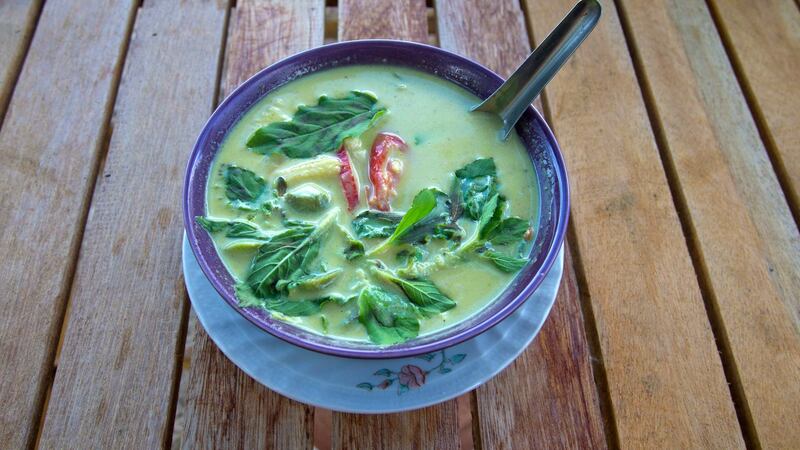 The Green Thai Curry is popular with many visitors of Thailand. To prepare Gaeng Kiaw Wan you stir-fry the green curry paste with coconut milk. After that you cook the meat inside that kind of soup and finally add some vegetables. Eventually, the Green Curry is garnished with a few basil leaves and then it’s ready to be served with rice. The meat can be chicken, pork or beef. Green Curry mostly doesn’t contain any seafood. Khao Soi is a Burmese-influenced dish, which is mostly served in the north of Thailand or in Laos. Apart from those regions, it’s very unlikely to find that dish on a menu. The soup is a spicy curry with coconut milk, noodles and meat. Usually served with a chicken leg, which is really tender and the meat almost falls off the bone by itself. But in some restaurants you can also order different meat. 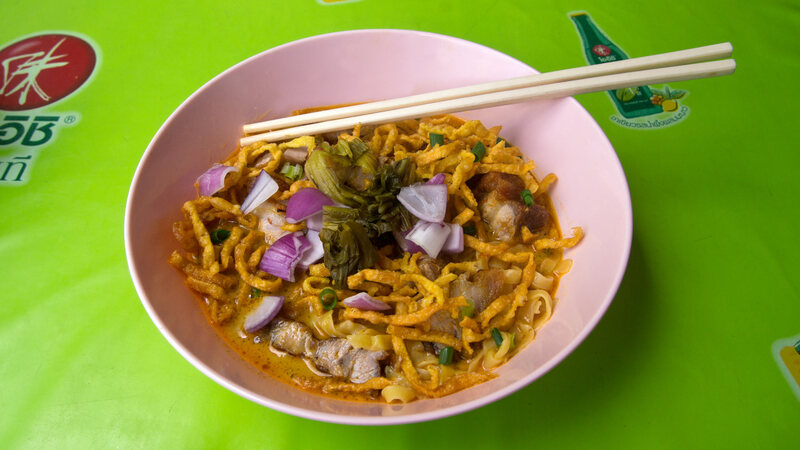 Khao Soi is garnished with some fried crispy noodles. 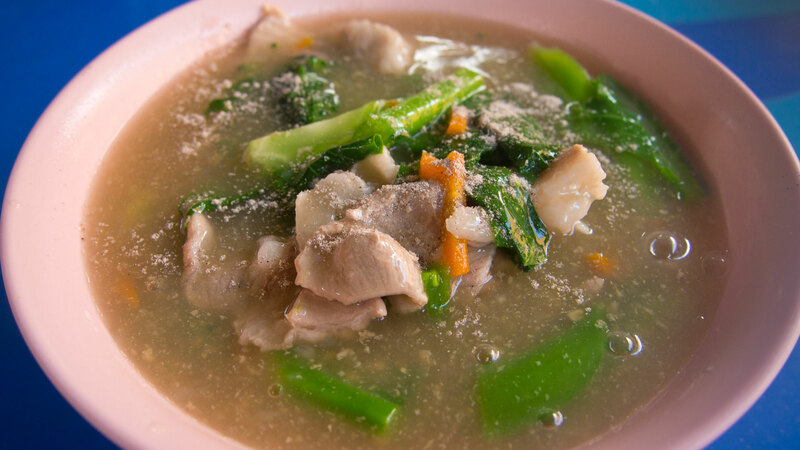 If you are traveling in the north of Thailand, be sure not to miss this delicious soup. One of my highlights of the northern Thai cuisine. 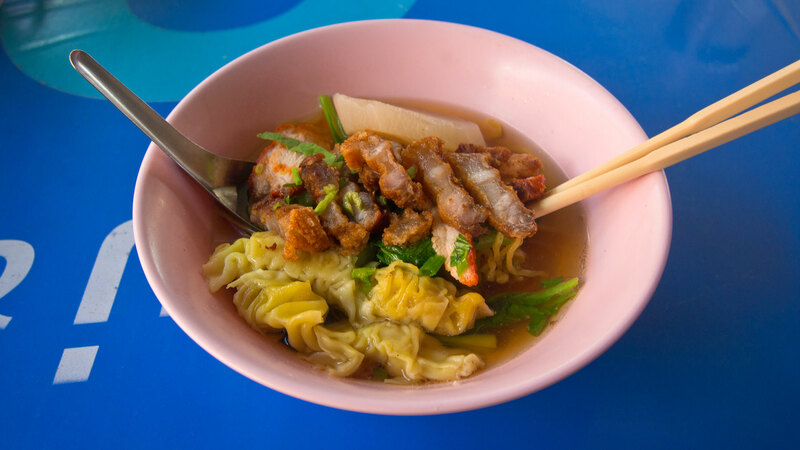 This is a noodle soup with yellow noodles, crispy pork and Wonton dumplings. You find the soup mostly at places where you can spot the mobile food stall with a yellow sign. The soup is a clear broth in which the noddles are cooked. In addition, there are some small cut vegetables (like celery), dumplings with a meat filling and crispy pork inside. There are also other versions of this soup with red barbecue pork as well as a dry variety without soup. Before you start to eat you can season the soup for yourself with several spices – fish sauce, chili powder, ground peanuts, vinegar with pickled chilies and so on. My favorite dish when it comes to noodle soups! Pad Pak Bung is usually a vegetarian dish, but can also be ordered with your choice of meat. You will find it on the menu as Fried Morning Glory, maybe better known as water spinach. 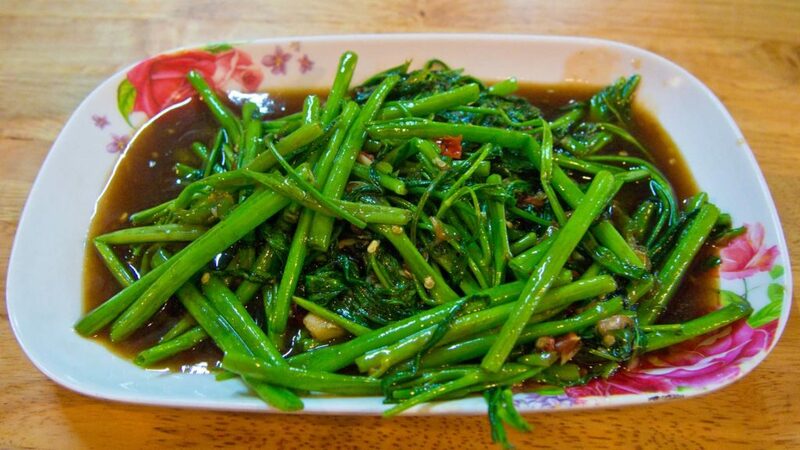 To prepare the dish, the water spinach is stir-fried with chilies and garlic. Very good as a single dish with rice, but also a nice side dish. Very delicious and absolutely recommendable! The Sukiyaki in Thailand has not much resemblance to the Japanese dish, except the name. It is prepared like a kind of fondue. The noodles, meat, vegetables and egg are cooked in a hot broth. In addition, a hot Sukiyaki sauce is served, which makes the taste of the dish. You can order the Thai Suki as a soup or a dry version, like you can see in the picture. Sometimes is doesn’t look that delicious but it definitely tastes amazing. 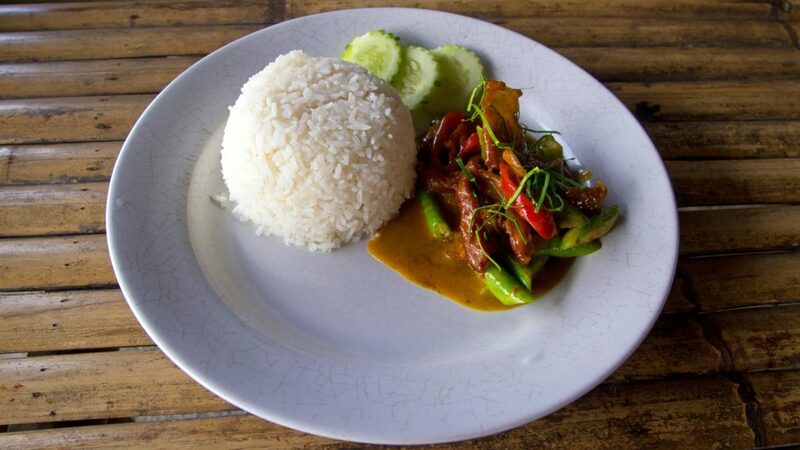 This is a dish from the classic Thai cuisine: Panaeng Curry. It is prepared with the respective Panaeng paste, which is added to the heated coconut milk in a wok and afterwards stirred well. Then the meat of your choice (pork, chicken, beef) is cooked inside that sauce. Furthermore, chilies, garlic and some vegetables (like green beans or similar) will be added. The Panaeng Curry is then garnished with some small sliced lemon leaves. Compared with other Thai curries, this one has relatively little sauce. Usually a spicy dish, but it can be ordered not spicy as well. Another noodle dish of the Thai cuisine. Originally, Rat Na was a Thai-Chinese dish. It is prepared with broad rice noodles, meat of choice, some vegetables like carrots or celery. Served is Rat Na in a thick broth. It is also refined with the typical Thai spices: fish sauce, sweet soy sauce, sugar and a little bit pepper. Rat Na definitely tastes much better than it looks. This is a fried red curry, which is usually spicy. The meat is fried inside the curry and some vegetables like green beans will be added. Pad Prik Gaeng is of course refined with sugar, fish sauce etc. and finally some kaffir lime leaves are used to garnish it. They maybe give the dish some more taste, but normally you can’t eat them. Rice is of course served with Pad Prik Gaeng. It is a really simple dish, which you can almost find in every food stall or restaurant. Pad Prik Gaeng is also one of my favorite dishes. Absolutely recommendable! 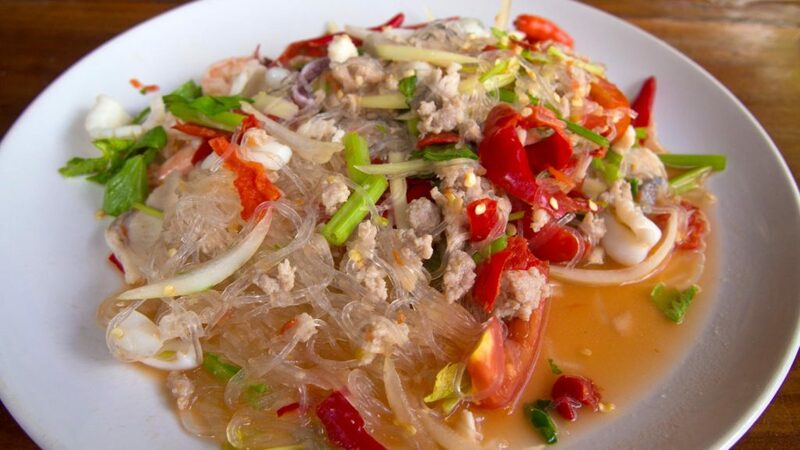 This is a spicy glass noodle salad, which is often served warmly. You can order Yam Woonsen in many different variations with meat, seafood or as a vegetarian salad. The ingredients are lots of chilies, glass noodles, onions, tomatoes, garlic, celery and your choice of meat. The mixed version, where you have pieces of every meat inside, is very popular among Thais. Do you like Thai food? Which is your favorite Thai dish? 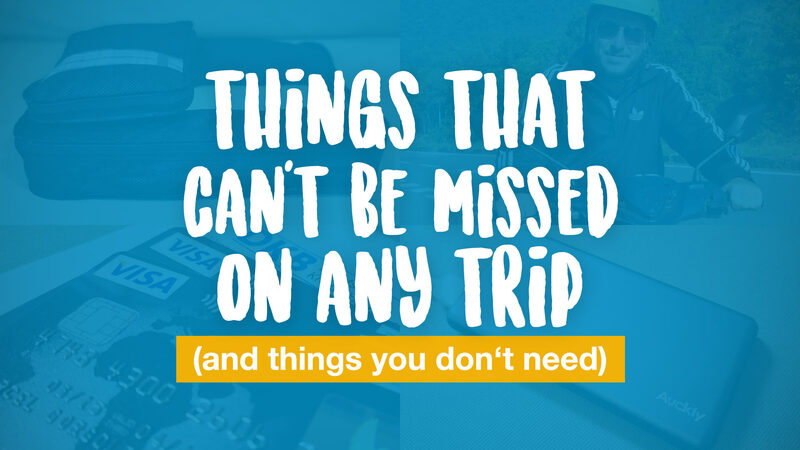 Leave us some feedback in the comments below.